Log on Learn has started. 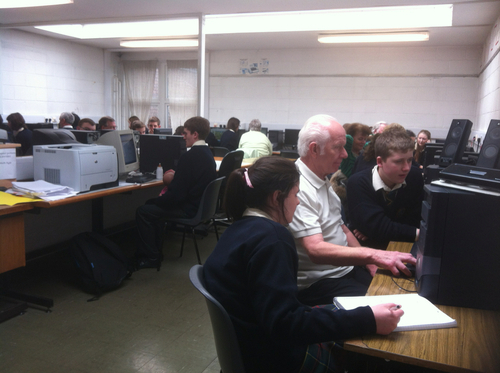 This is a very popular programme where TY students and senior citizens meet and exchange IT knowledge for wisdom! 15 senior students are taking part. Subject matter includes keyboard skills, email, internet and word processing.